Tyson Beckford Wife (Berniece Julien), Son, Parents, Is He Gay? Home Models Tyson Beckford Wife (Berniece Julien), Son, Parents, Is He Gay? 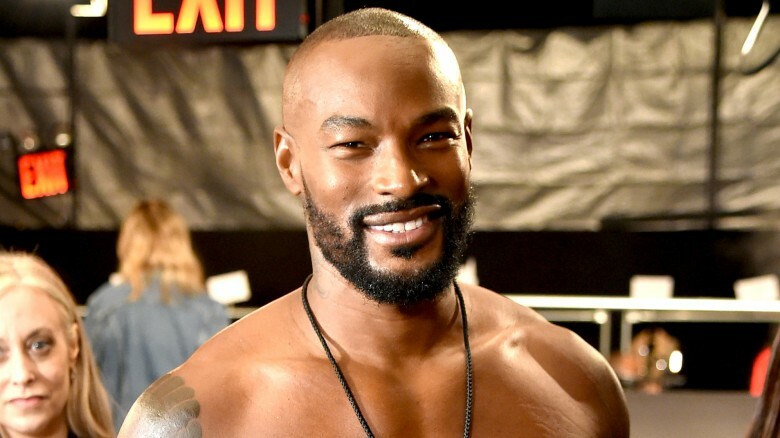 From his beautifully chiseled face and perfect masculine silhouette to his great strides in his career as an actor and a model, Tyson Beckford could be the poster boy for black excellence. Beckford is undoubtedly one of the most successful male models ever. Having worked extensively with fashion powerhouses like Ralph Lauren and Vogue, he has been mentioned in the same annals as the iconic female models of the 1990s. As an actor and television personality, Beckford has appeared in a number of music videos by popular artists such as Toni Braxton and The Notorious B.I.G. He has also been in a slew of movies and was the host of Bravo’s two seasons of Make Me A Supermodel. For his contributions to the furthering of black enterprise and the larger world of fashion, Vogue Magazine named Tyson the greatest male model of all time in 2014. Beckford’s name is still as relevant today as it has ever been. He may have been born as far back as December 19, 1970, but the Rochdale native hasn’t lost his touch since his emergence. Tyson has proven his longevity, a trait that isn’t common in the fashion industry, especially for a model his age. The model spent the first part of his formative years in Jamaica before returning to New York. He has made a living based almost entirely on his looks. This makes it somewhat hilarious to think that back in his school days, he was an object of ridicule on account of his physical appearance. In 1992, while the New Yorker was still 21, he was brought on by The Source, thanks to talent scout Jeff Jones. It did not take long for him to get the attention of big fashion brands. The following year, in 1993, Tyson was recruited by Ralph Lauren. While on the brand’s books, he worked as the face of their line of male sportswear, Ralph Lauren Polo. In the next few years, as his reputation continued to spread, he was recognized by People Magazine when they put him on their 1995 list of “50 Most Beautiful People in the World”. Also, in the same year, he was VH1’s” Man of the Year” and “40 Hottest Hottie’s of the 90s”. The model’s growing network has seen him represented by international agencies like the D’Management group in Milan, and Soul Artist Management from his native state of New York. Tyson Beckford has also made a decent career as a television personality. One of his earliest roles in this capacity was in 2003 when he participated in ABC’s celebrity reality game competition I’m a Celebrity… Get Me Out Of Here! He is also an outspoken advocate about the need to stamp out domestic violence. In 2008, he worked with giverespect.org as part of the National RESPECT! campaign, to record an audio addressing the pertinence of mutual respect. Perhaps his biggest television involvement was with the television modeling contest, Make me a Supermodel on Bravo Channel, where he co-anchored the show’s premiere season with fellow modeling star Niki Taylor. For the followup season, Beckford also filled the role of mentor to the contestants, along with Nicole Trunfio and some other notables in the world of fashion. He was also on the Australian spin-off of the modeling show with former Miss Universe Jennifer Hawkins. As an actor, the model’s film portfolio goes back as far as 2000. It was in that year that Tyson Beckford made his movie debut with a cameo appearance in the film Boricua’s Bond. Since then, he has been in many films including Zoolander (2001); Kings of the Evening (2007); and Supermodel (2016). Beckford’s music portfolio also includes appearances in music videos for the likes of Mariah Carey, 50 Cent, Ludacris, Britney Spears, DJ Khaled and a host of others. Everyone’s beauty comes from somewhere and it’s no different for the American supermodel. Tyson Beckford is the definition of exotic where it concerns the genes responsible for his appearance. He was born to a Chinese Jamaican mother and an Afro-Jamaican father, Lloyd Beckford from Panama. It was his mother, Hillary Dixon Hall, who relocated Tyson and the rest of the family to Jamaica where the young lad spent the first seven years of his life. As an adult, he has had his share of relationships which isn’t surprising for someone of his reputation and physical appeal. Beckford’s dating history can be traced to names like Shanina Shaik and reality television personality April Roomet. Beckford shares a child with the latter from their time together. The child, a son named Jordan Beckford, was born sometime in 1998. Tyson is currently rumored to be married to Berniece Julien. Details of their wedding remain largely a mystery, however, the two have been together for a number of years. As of 2018, no children have resulted from the relationship. You may think that this is an absurd assumption, giving his heterosexual dating portfolio. However, this isn’t really a surprise for a man who has made a living with his body for the most part of his career. On August 1, 2018, the model got into an online brawl with reality TV starlet Kim Kardashian after his comment on a picture she posted on Twitter insinuated that she had gone under the knife often and had a fake look as a result. Kim went into revenge mode, addressing him with a female pronoun. Many Twitter users shot back at her, terming her reply as homophobic. Beckford then came out to reinforce his dislike for cosmetic beauty while stating his support for the LGBTQ community. Beckford also stated clearly that he is as straight as can be.